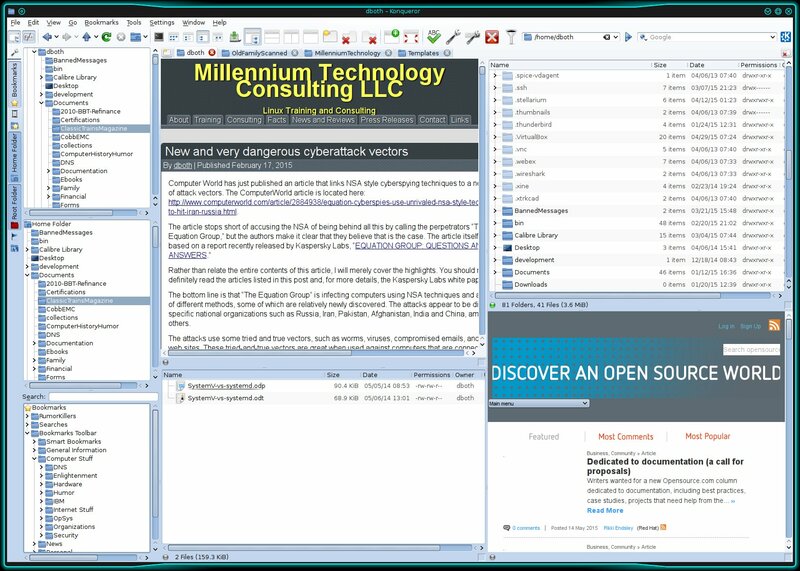 Konqueror is an amazingly versatile and powerful file management program that is also a very good web browser and FTP client. 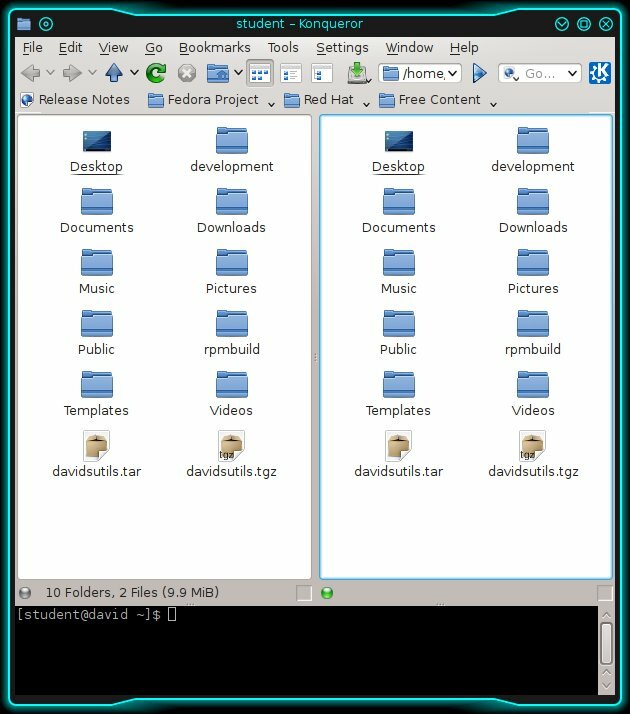 It is provided with Red Hat, Fedora, and CentOS distributions and many other Linux distributions as a part of the KDE Desktop Environment. I find Konqueror an indispensable tool because it can do so many things very well. Konqueror allows you to browse through your files and directories to locate, copy, move and delete files, as well as to open them using a pre-selected application, or an alternate application. 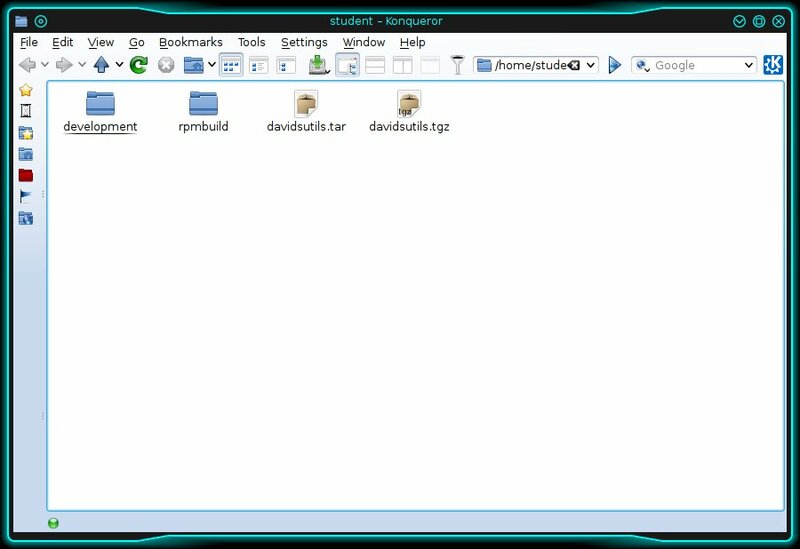 The default Konqueror window when opened the first time in “File management” mode. You can launch Konqueror as a web browser directly from the KDE => Favorites menu. Konqueror can be also be launched from a terminal window with a specific profile using the following command. Konqueror when launched for the first time in Midnight Commander mode. Konqueror when used with my own personal profile. Click on the image for a larger, much more readable version. The primary configuration interface for Konqueror is Settings ==> Configure Konqueror. There are a large number of options available, so you should be able to configure Konqueror to work in the way most comfortable and useful for you. The Settings ==> Toolbars shown menu allows you to specify which toolbars are displayed and the Settings ==> Configure Toolbars menu allows you to specify which icons are displayed on each of the toolbars. Of all the file managers I use, Konqueror is the one to which I keep returning. It has the widest range of features and the most flexible interface of all the ones I have tried. It is well documented and — mostly — intuitive to use.